Is Nintendo Switch Online Worth It? | Nerd Much? For starters, everyone’s evaluation of “worth” is different. A lot of fans think “it’s worth it” simply because it costs a fraction of what competitors are charging for their online service. Personally, the conversation of worth is entirely based on the quality of service. While $20 (even less if you use the family plan) is fiscally inconsequential in the grand scheme of video game related costs, it doesn’t mean I automatically find Nintendo Online “worth it.” For comparison, a burger at a restaurant can be $10-$15, but whether or not I feel ripped off is dependent on the taste and size of the meal. To me, worth isn’t strictly about a bottom line number. For only $19.99 a year (or $34.99 for an 8 person family membership), you can access Nintendo Switch Online which includes access to online play, cloud saves for games (with some exceptions), 20 classic NES games, special offers starting with a pair of NES controllers, and voice chat for the aforementioned NES library and a few other titles. If you’re an avid online player this service is an absolute must. Based on the community, the main game that seems to push players to buy the online service is Splatoon 2 which is a game that’s primarily enjoyed online. Unlike other games which have online functionality as a fun feature rather than a focal point. It’s worth noting that online free-to-play games such as Fortnite do not require a Nintendo Switch Online subscription for online play. If you’re an avid Splatoon 2 fan or are obsessed with any other online play, there’s no reason to have any internal conflicts over Nintendo Switch Online. Regardless of how happy I am (or am not) with the service, I need it: if only to continue my road to S rank. If you’ve been a gamer for a while, you’ve probably been burned by lost, overwritten, or corrupted saves at some point in your life. You can debate whether or not we should have to pay for it but $20 a year for Breath of the Wild insurance isn’t a bad investment. Especially because we just got word that cloud saves will last six months after your Nintendo Switch Online subscription ends so you have plenty of time to renew it if it lapses. The biggest sting with this feature, however, is the fact that it doesn’t apply to all games. The hundreds of hours I’ve poured into Splatoon 2 are constantly at risk and when Pokémon: Let’s GO! releases this November, I’ll have no way to back up that progress either. 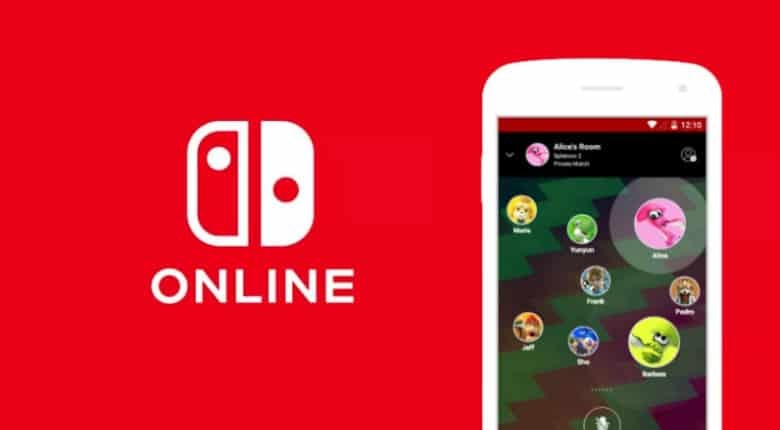 Voice chat can be accessed through the Nintendo Online App but it’s only available for Splatoon 2’s lobby, Mario Kart 8 Deluxe, ARMS, Mario Tennis Aces, and the NES library. The biggest complaint from fans is the fact that it’s through an app to begin with, rather than just using the console and, say, a controller with a headphone jack. The whole process feels unnecessarily obtuse. Many of the failings of Nintendo Voice Chat stem from the company’s inexperience with voice chat as well as fans’ expectations of Nintendo. Most of us have either gotten used to not chatting or have sought alternative methods. This is probably why so few people were using the voice chat app when I finally geared up Mario Kart 8 Deluxe hoping for some wholesome conversations with randos. Granted, a lot of factors can impact your voice chat experience: including time, day, and the people you happen to be grouped with. Still, I have to say I was thoroughly unimpressed with my experience. And as much as I think voice chat functionality needs to become standard across the board, games like Mario Kart 8 don’t really lend themselves to voice chat when playing with strangers. What do we have to talk about? The implied consensus in my groups was “nothing,” so we sat there in tense silence. Or, at least, as silent as we could be considering the app picks up everything. Essentially, it’s like chatting on speaker phone so if you’re sitting near your television the game audio will bleed into the chat in a most unpleasant way. Having been born in 1994, I have to admit I’ve missed out on most of the classic NES game. This collection seems like a good way to play catch-up. However, a few elements here fall flat to me. Starting with the positives, the ability to play these games online is a nice touch and helps sway players, who may already own these games on other platforms, to feel excited about this collection. 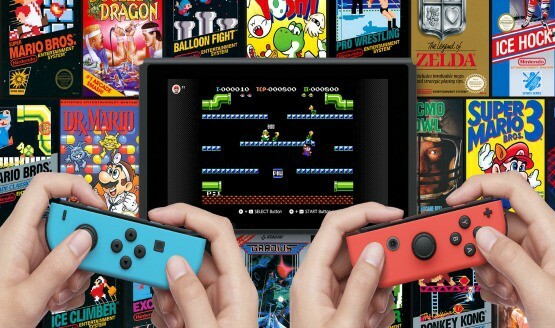 With this library of classic NES games launching as part of the Nintendo Switch Online service, it seems like the games were selected with multiplayer in mind. It’s a smart move but, still, the quality of the games isn’t fully there. And if you already own the NES Classic Edition you have even less of a reason to enjoy this collection. In fact, of the 20 games currently available in the Switch NES library, 12 of them are already on the NES Classic Edition. 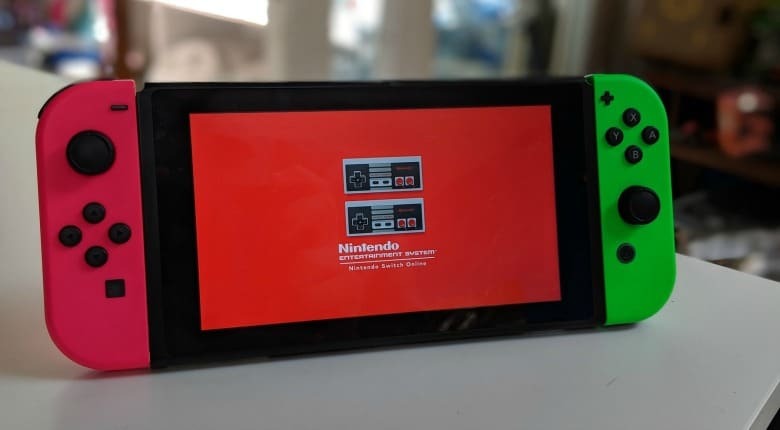 And the emulator used for the Nintendo Switch NES library is actually the same one used for the NES Classic Edition. These are quite literally the same games on a different platform. So maybe this library isn’t exactly the greatest thing to give die-hard fans. The question then becomes, how does this stack up to newcomers? Finally, my lack of NES knowledge comes in handy. Having played all these games, I have to admit some really don’t age well. Additionally, Nintendo’s assumption that players will be familiar with these games and how they work can make the point of entry difficult. Hovering over any given title allows you to view the “details” of the game: including its release year, the number of players you can have, the amount of time you played the title, and some written background regarding the title. The backgrounds are nicely written but some of them lack the factual information I need to understand how to play the game/what my goals are. For the most part, that didn’t hold me back too much but for a less experienced gamer, it might be a turn-off. As far as the games themselves, some of them were really fun. Stand out titles include Balloon Fight, Double Dragon, Ghosts N Goblins, Gradius, River City Ransom, and Yoshi. Games like Donkey Kong, Dr. Mario, Super Mario Bros., and Super Mario Bros. 3 are also timeless classics but I’ve played these titles so much it sort of feels like what’s the point? And as far as enjoyment, I can completely do without Ice Climber, Original Mario Bros., and all the sports simulators. At the end of the day, this is Nintendo’s first paid online service and when you’re in on something from the start there are bound to be some kinks to work out. Even if you’re disappointed in Nintendo Switch Online, take solace in the fact that it’s only up from here. And if you haven’t made the purchase yet, figure out if it’s worth it for you.